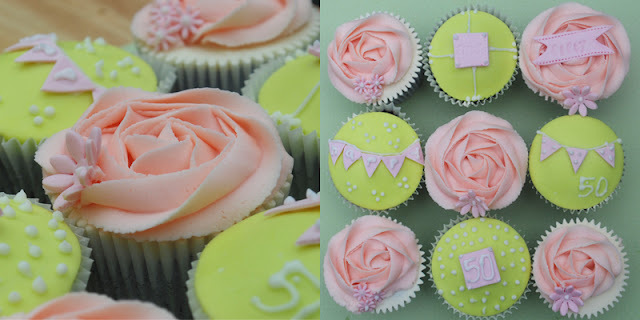 These cupcakes were made for my sisters friend's aunt, I used Bitter Lemon and Lime Sugarflare colouring for the domed tops, and just a touch of Ruby for the decorations. Chocolate flavoured cupcakes were requested, so I used a Devils Food Cake recipe, which you can find a version of here. 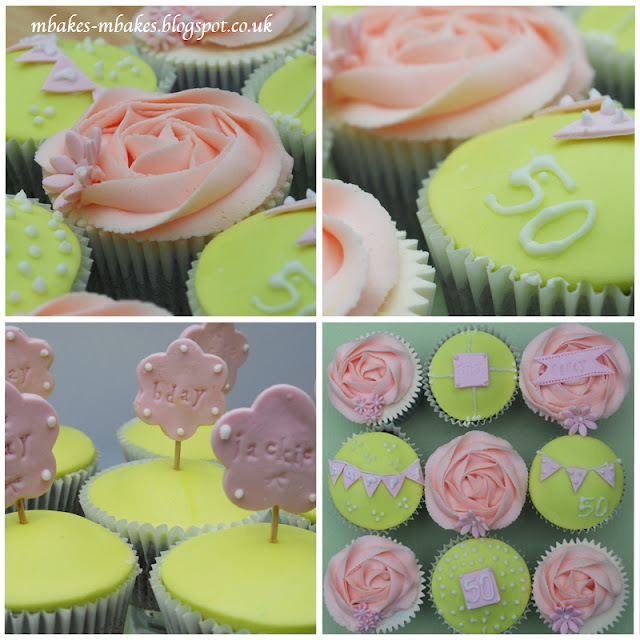 A simple vanilla buttercream was used to decorate some of the cupcakes also, this consisted of 500g icing sugar, 250g unsalted butter and a tsp vanilla extract, simple simple simple! I've yet to gain any feedback from the cupcakes but I hope they went down well! I'd like to thank Chris from Baked Clouds for helping me so much with the photography! I picked up the idea for the design of these cupcakes at work. We had a week of Boutique, Vintage and Wedding Cupcake classes and I had the honour of photographing them, below is one of the pictures I took (beginning to LOVE food photography! ), which was then edited by the ever famous Shikhita. OMG these cupcakes are mindblowing!!! seriously! they look sweet and just so stunning!!! Well done! Your cupcakes are so pretty! I love the yellow and pink together and rose swirl icing is always so effective. Thank you Jo! I use a Nikon D60, thinking of upgrading my lense! Manual settings are far too complicated for me, I just stick to the basic rules of taking pictures in good daylight! I have absolutely no photography knowledge though so the buzz words kill me! Wow they look gorgeous - did you make the cake topppers too? 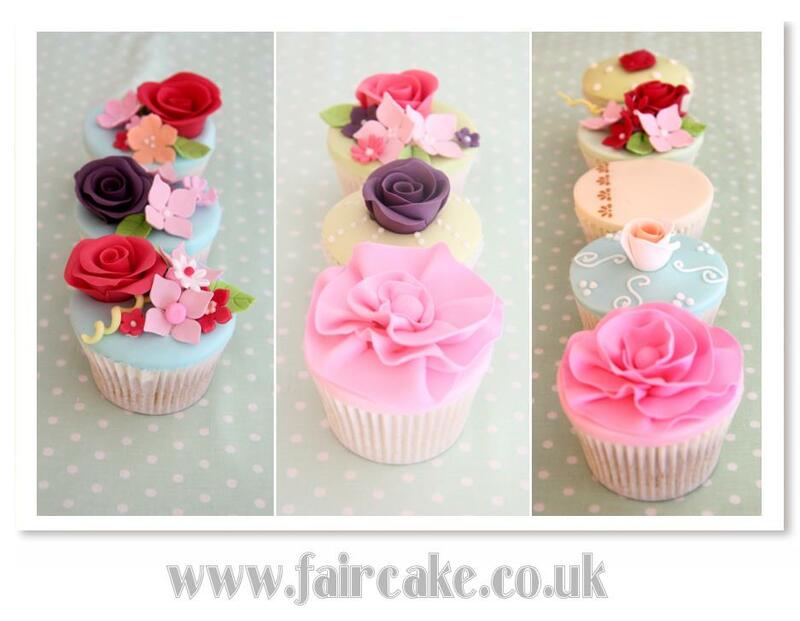 I love the faircake ones too, so pretty. @Becs, thank you! yes i did make the toppers too - they were quite simple to assemble, if you want to know how i did it then let me know! @Crusader thats very kind of you, i thought the roses came out a bit dodge myself! @bety, thank you so much!